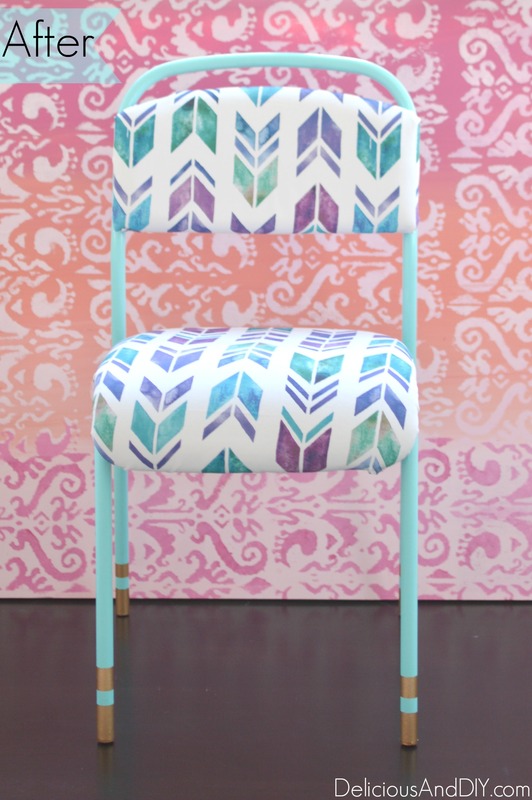 So for the first time in my DIY life I re-upholestered a chair and I just want to reupholster anything and everything that I lay my eyes on now ! The chair which I experimented on was basically a simple plain black chair and it was time it got a makeover. Since I am part of this months Fab Furniture Flippin Contest and the theme of this month is “Take A Seat”. 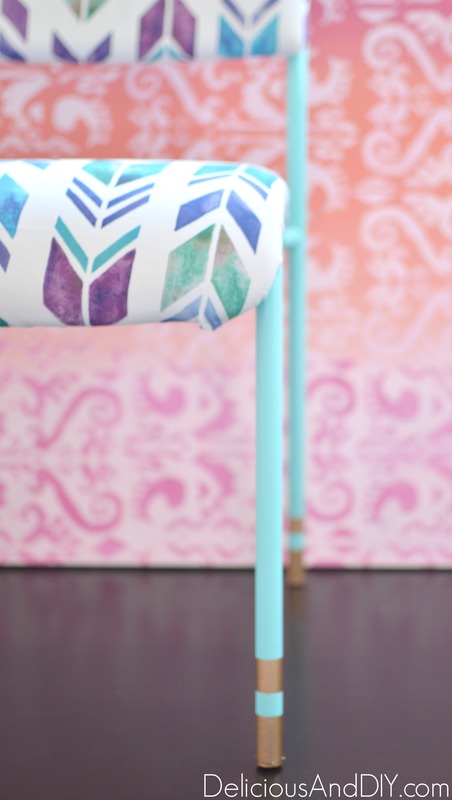 Our wonderful sponsor is Minted who provided us with beautiful fabrics which was the perfect excuse to give this chair some color. 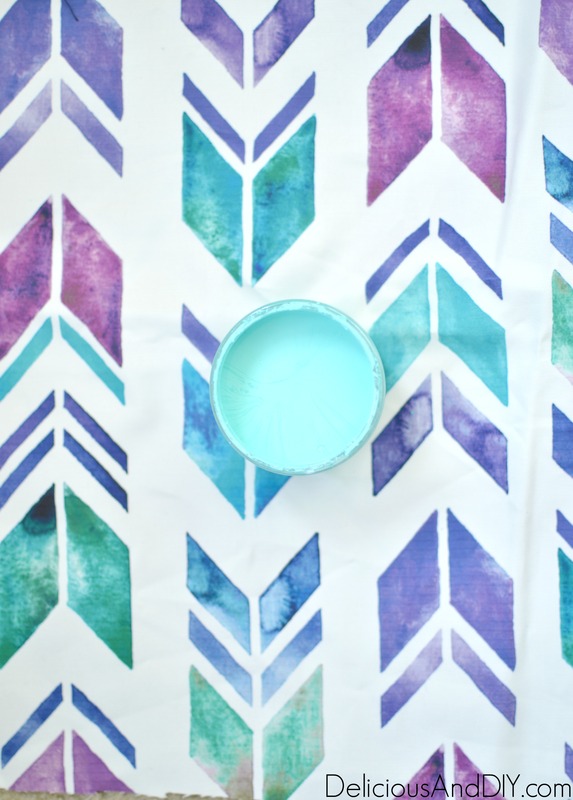 Minted is basically an online community where independent artists submit there content which in turn is sold in the form of art, home decor and stationary. 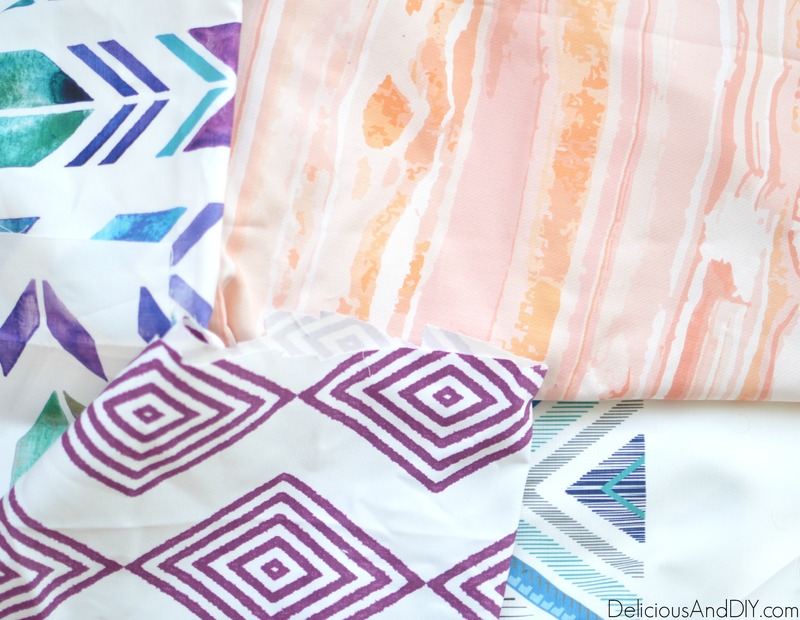 I just couldn’t decide on only ONE fabric since they have such a wide variety of gorgeousness hence I ended up ordering multiple fabrics or else it would have taken me forever to make a decision. 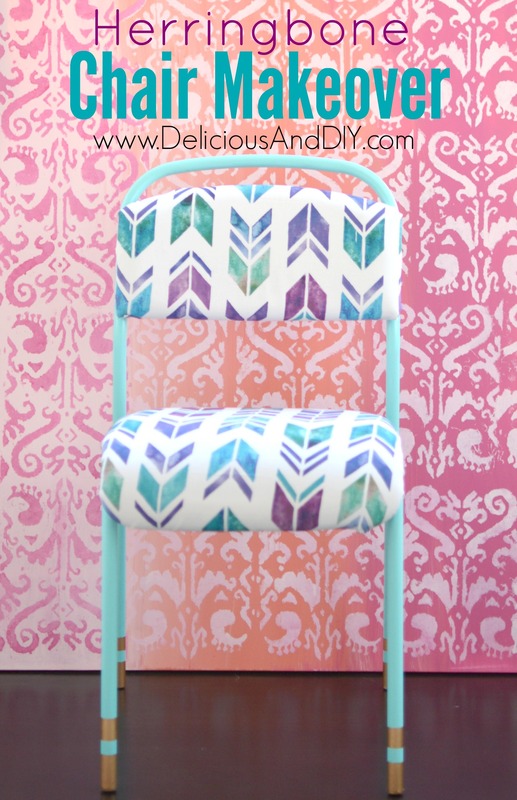 So for the chair I went with the beautiful Herringbone Pattern. Trust me it was super hard for me to decide which fabric to use but it was time to get to work. I unscrewed the bottom and back side of the chair and started the stapling process. I wrapped up the fabric and stapled away. 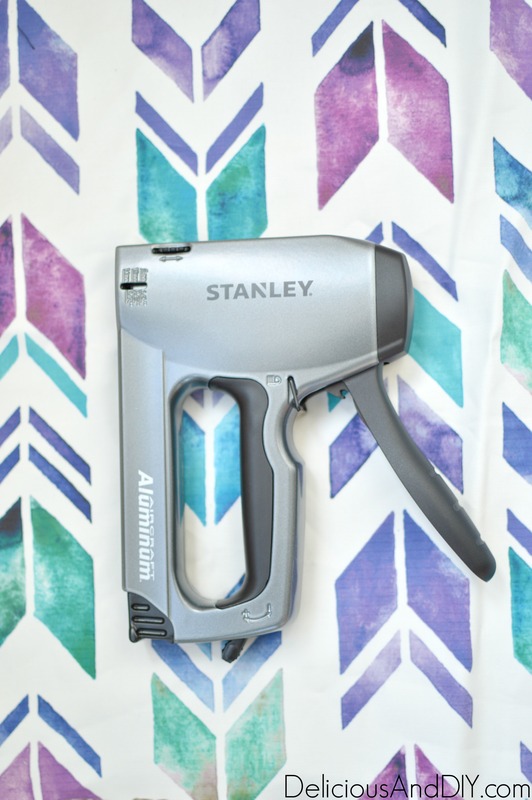 Then I gathered the fabric again and held it tightly and stapled away and basically kept doing it again and again. Until miraculously it was All Done. Why did I ever make this such a big deal? It took me a little under an hour and the pieces were neatly reupholstered, I couldn’t believe it would be so quick. For the frame of the chair I decided to go with a light blue shade of paint. 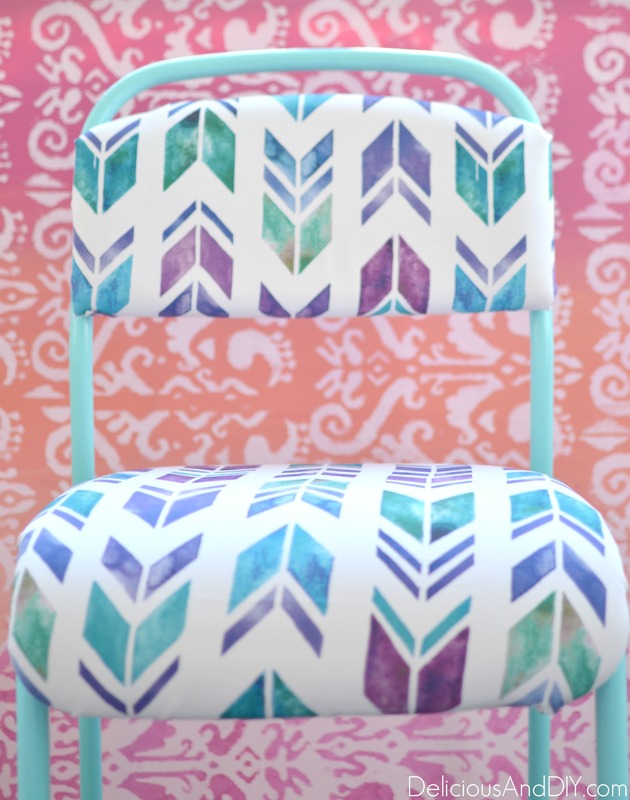 The chair got two coats of the paint until it was finally covered. 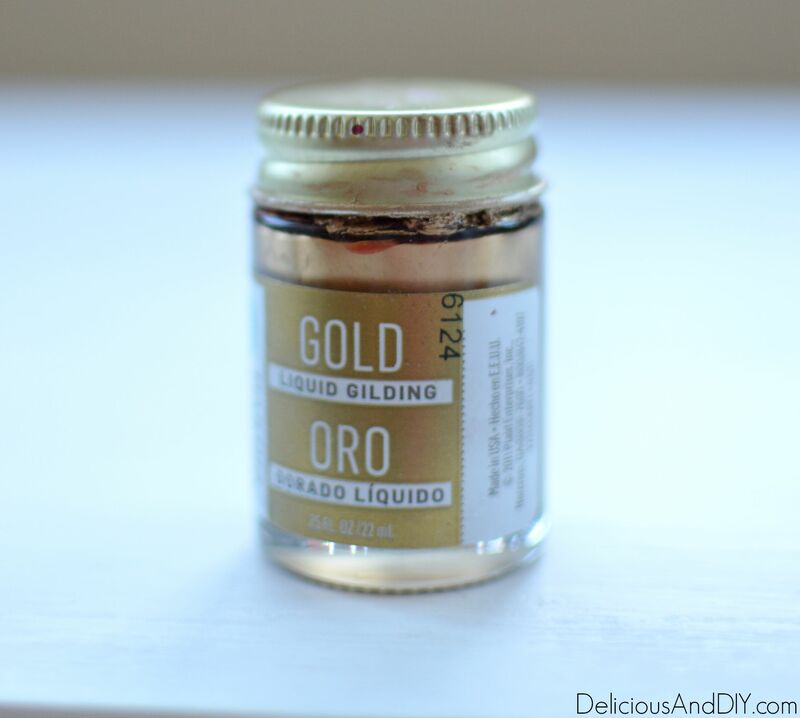 Lastly I went in with my Liquid Gold Gilding and taped off some stripes with my masking tape on the legs of the chair. 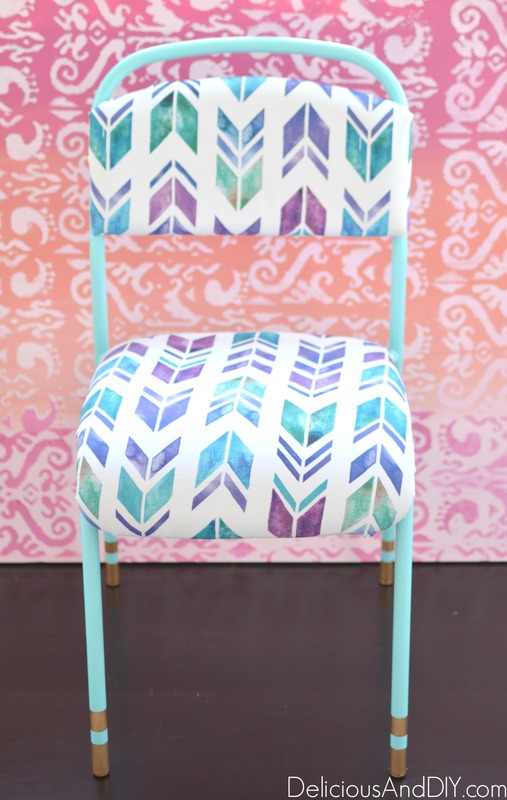 I painted over the tape with the Gold just to give the chair a little extra since the legs seemed really bare to me. After that it was just a matter of re-attaching the seat and the back side of the chair and I had a beautiful new chair. If you guys want to see more ” Take a Seat” makeovers then do check out Stacy’s and Colleen’s post who are the fabulous host of this months contest. 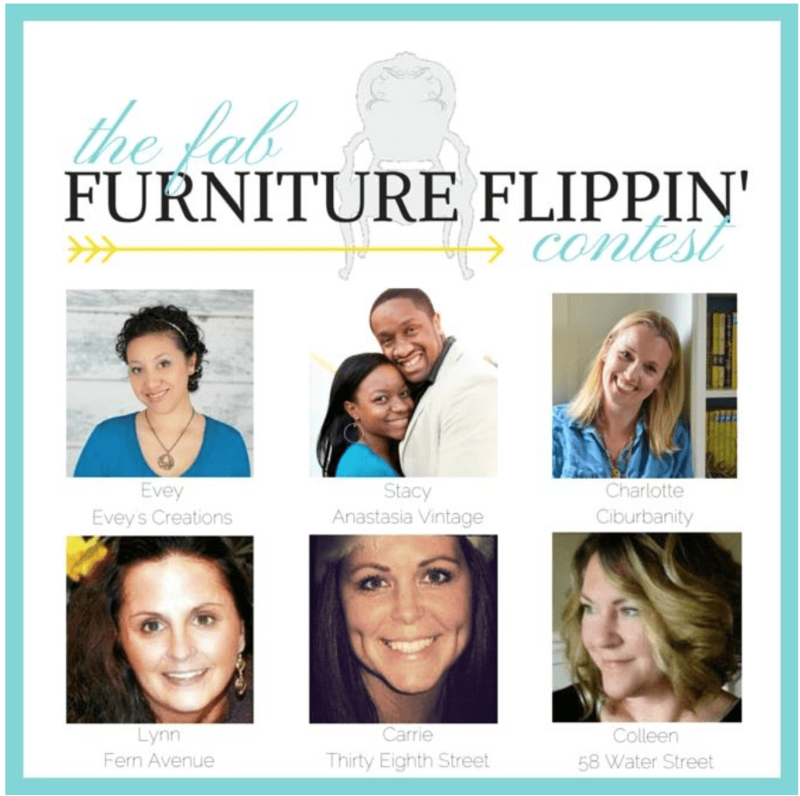 Interested bloggers should contact info@fabfurnitureflippincontest.com if interested in participating in future contests. Disclaimer : This is a sponsored post but all projects, opinions and ideas are 100% my own. What a beautiful job. I would love those.